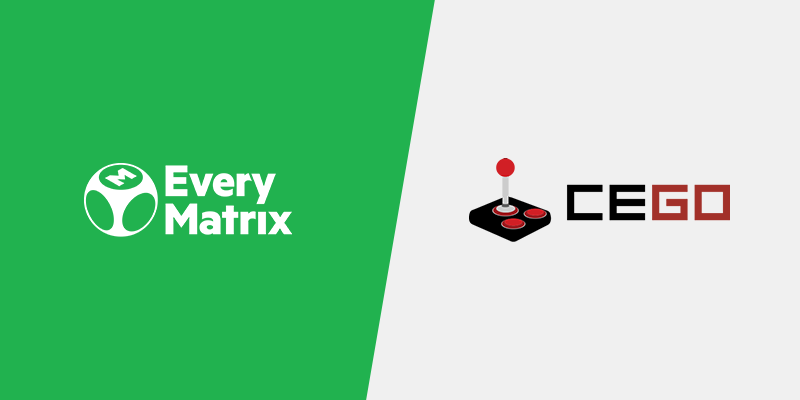 Platform provider EveryMatrix has signed a deal with CEGO, one of Denmark’s most successful online casino operators. Following the agreement, CEGO’s newest brand will benefit of premium content from NYX, Scientific Gaming, Magnet Gaming, and Evolution via EveryMatrix CasinoEngine product. CEGO, owned by Danske Spil A/S, together with the original founders, is a highly experienced Danish online casino operator powering some of the biggest online casino brands in Denmark, including Spilnu.dk and CasinoDanmark.dk. CEGO also owns the slot game provider, Magnet Gaming. “Following the Norsk Tipping deal, this is yet another step forward for EveryMatrix and we are happy to carry out our privileged position in the Nordic market through our latest partnerships.” said Ebbe Groes, EveryMatrix CEO. “We are looking forward to cooperating with EveryMatrix. It will open up a large portfolio of new and exciting games, which will benefit our players and strengthen our gaming products even further.” said Esben S. Thomsen, CEGO CMO. As for the technological building blocks supporting the new website, content will be delivered to CEGO via WebAPI on external wallet with EveryMatrix’s bonusing system. “At this moment, our company is one of the few Danish certified platform providers, and with the new CEGO agreement, we continue to grow our name in the Nordics region. Our platform was recently selected by Norsk Tipping state lottery to provide services for their iGaming Integration Platform, and now with Danske Spill-owned CEGO we see the recognition of our hard work and focus we invested into building one of the most competitive products on the market.” added Ebbe Groes. CasinoEngine product integrates today more than 40 gaming vendors delivering close to 4,000 games that can be plugged remotely in external wallets via a single API, or directly in the EveryMatrix standard platform service.